Electricity was generated at comparatively low voltage levels (25kV) and then upped to voltages such as 500kV, before being brought down to 11kV and then finally 220/110V. The stepping-up of voltage levels reduces current to a very minute value, reducing heating losses to a great extent. This saves considerable amount of energy when power stations are distantly located. When needed, the voltage is stepped-down and made available for domestic or industrial consumers. Today, transformers form a universal part of all power systems, and are unreplaceable for decades to come. But transformers aren’t designed on the basis of “one size fits all”–they can’t be. Electric loads of today are extremely variable and factors such as harmonics, power angle and peak current requirements have to be taken into account during the design and fabrication of transformers. 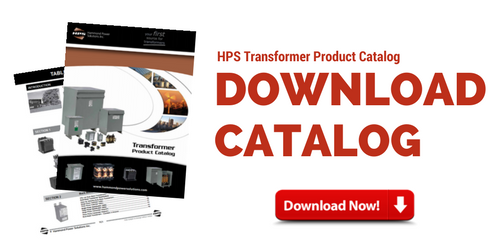 Established in 1917, Hammond Power Solutions (HPS) have been the pioneers of magnetic transformer design and development. With over a century worth of tangible research, the company has expanded its manufacturing and product base to offer the widest range of transformers. The transformers are suitable for all kinds of needs ranging from commercial to industrial to residential. Energy efficiency is one of the prime concerns in transformers due to their high numbers, and even a fractional increase can result in significant long-term savings and higher Return on Investments. As stated earlier, energy efficiency has been a major concern in electric power systems, one that can be dealt with increased efficiency of transformers. In 2007, the US Department of Energy set new standards to ensure lower power losses and greater environmental protection. On June 9th, 2010 the NEMA announced the initiation of the NEMA Premium Efficiency Transformer Program, aimed at helping utilities, commercial buildings, and industrial plants incorporate super high-efficiency transformers into their operations which would further reduce the losses by 30 percent. These are well suited for general applications such as heating, lighting, motorized machines or simple domestic loads. HPS Sentinel is based on DOE 10 CFR 431 standards and efficiencies are calculated based on a linear profile. On the other hand, HPS SuperSentinel follows NEMA Premium guidelines and provides 30% lower losses under linear loads. Non-linear loads have become too common throughout domestic zones of operation. 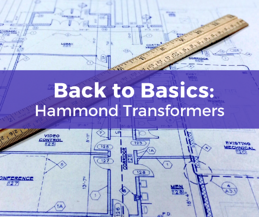 Hammond has introduced its K-factor transformers to tolerate the extra losses that come as a result of non-linear loads such as drives, personal computers and telecom equipment. Harmonics due to non-linear loads can amount for greater heating losses which can significantly effect a transformer’s efficiency. HPS Synergy meets the DOE 10 CFR Requirements while SuperSynergy are built under NEMA Premium guidelines. Harmonic mitigating transformers are one step ahead of K-factor transformers as they reduce not only the power losses but the voltage distortion as well. Secondary windings in these transformers are arranged to cancel out the zero sequence fluxes and eliminate any circulating currents. The Centurion and SuperCenturion transformers are able to deal with shifting odd harmonics up to the 19th level. Hammond’s three phase autotransformers are specially designed to deal with minor voltage fluctuations in distribution systems. These fluctuations may require small corrections, but if left undealt with can build up inefficiency in the power system. The transformers are ideal for applications that require frequent adjustments to match specific load requirements. There are locations where personnel and equipment safety is a priority while reliability is equally important. Hammond’s Titan series has been designed to deal with the harshest of environments, and work its way through hazardous elements, which a conventional transformer cannot handle. The series is optimum for remote locations in industries such as mining, fishery, petrochemical, etc. In addition to being built as per the highest efficiency standards, the transformers are able to withstand a host of environmental conditions thanks to the implementation of two complete vacuum-pressure cycles that instill superior resistance and performance. Available with a wide variety of accessories such as ground fault relays, temperature sensors, fans, anti-vibration mounting and so on.